Green$aver, a non-profit leader in home energy efficiency audits, is giving consumers the gift of improving home energy efficiency with home energy audit gift certificates. Consumers can choose either a preliminary energy assessment or a complete preliminary and post energy assessment to give as a gift certificate. The preliminary energy assessment guarantees a comprehensive visual inspection of the entire residence, a blower door test (a measurement of the change in air leakage in the house) and a computer modeling report that identifies where energy efficient upgrades will provide the greatest benefit. The energy assessment starts the qualification process for the homeowner to receive up to $5,000 for specific energy efficiency upgrades from the federal ecoENERGY(tm) Retrofit program. It also enables qualification for the Ontario provincial government's grant program, which will match the federal grant funds given. In order to complete the qualification process, after the energy upgrades are made, a post energy assessment is required. For more information, go to www.greensaver.org. The government plans to spend 23.5 billion yuan ($3.2 billion) this year to raise energy efficiency and cut pollutant emissions, a senior finance official said Monday. The pricing regimes for energy and resources will also be reformed, and charges raised for wastewater treatment, said Zhang Shaochun, vice-minister of finance, at a national conference on energy efficiency. Of the fund, 7 billion yuan ($947.2 million) will be earmarked as grants to encourage major energy-efficient projects, Zhang said. Grants used to be disbursed based on the value of projects but Zhang said the amount now will depend on how much energy the projects can save. During the 2006-10 period, energy-efficient technological upgrading is expected to save 130 million tons of coal equivalent, Zhang said. "The more they save, the more grants they will get," he told finance officials. The energy efficiency of the projects will be appraised by independent third-party institutions, he added. Another 6.5 billion yuan ($879.6 million) will be channeled to build or upgrade pipeline networks for waste water treatment in the central and western regions, he said. The funds will be provided to provinces based on the total length of the networks and emission cuts in chemical oxygen demand (COD) - a key water pollution index - Zhang said. The remainder of the fund will be used for elimination of out-dated production capacities, monitoring pollution and control of river and lake pollution. The government has set a goal of reducing energy consumption per unit of gross domestic product (GDP) by 20 percent during the 2006-10 period, or 4 percent each year, and cutting major pollutants by 10 percent by 2010. Development of the first hybrid battery suitable for storing electricity from renewable energy sources such as solar and wind is now a step closer. CSIRO and Cleantech Ventures have invested in technology start-up Smart Storage Pty Ltd to develop and commercialise battery-based storage solutions. Director of the CSIRO Energy Transformed National Research Flagship Dr John Wright said the Smart Storage battery technology aims to deliver a low cost, high performance, high power stationary energy storage solution suitable for grid-connected and remote applications. 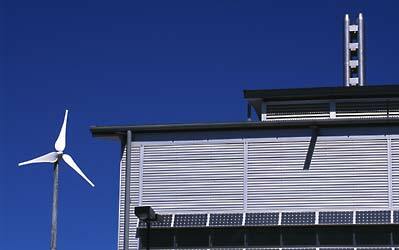 “Cost effective, high performance energy storage has been the missing link for renewable energy,” he said. Current battery storage solutions undergo frequent deep discharging and are unable to meet high power demands. They are also considered expensive due to high initial cost and short battery life. “The Smart Storage technology is based on CSIRO’s ‘Ultrabattery’ which has been successfully trialled in hybrid vehicles,” Dr Wright said. Extensive technology development is now underway to produce a low cost and easily manufactured deep-cycle stationary battery that meets demanding variable operating conditions. The Smart Storage technology is a hybrid battery which combines an asymmetric ‘supercapacitor’ electrode and a lead-acid battery in a single unit cell. Advanced materials used for the electrodes and current management absorb and release charge rapidly and at efficiencies well above conventional battery types. It is expected that the discharge and charge power of the Smart Storage battery will be 50 per cent higher and its cycle-life at least three times longer than that of the conventional lead-acid counterpart. “Most importantly, our technology development path is directed towards manufacturing in existing lead-acid battery plants,” said Andrew Pickering, a Principal at Cleantech Ventures. “Too often new technologies simply aren’t affordable and that significantly retards market uptake. Members of the Organization of Petroleum Exporting Countries, or OPEC, have pledged a total of $750 million to a new fund that will support research in clean technologies, including carbon capture and storage. "We are part of this world and the consequences of environmental and climatic changes affect our nations and peoples," said Prince Saud al-Faisal, the foreign minister of Saudi Arabia, at a news conference in Riyadh. He said Saudi Arabia, the world's biggest oil exporter, would put up $300 million "to fund a program of scientific research relating to energy, environment and climate change." Kuwait, Qatar, and the United Arab Emirates each pledged $150 million to the fund. "We look forward to seeing producing and consuming countries alike contribute to the program, since it is in the common interest to deal with this issue in the optimal manner," said Prince Saud. In a statement following its third summit, OPEC said it would, "Stress the importance of cleaner and more efficient petroleum technologies for the protection of the local, regional and global environment, and the importance of expediting the development of technologies that address climate change, such as carbon capture and storage." Carbon capture technology involves trapping carbon dioxide and storing it underground. The technology is still in the development stage, with the U.K. just announcing a project to look into a commercial scale system (see UK launches carbon capture and storage project). OPEC will not be turning its back on oil. Prince Saud said "the emissions that cause pollution must be addressed so that we control this energy source which will remain important for a long time." I came across this post ChinaDialogue by Peng Li, a Masters student at Tsinghua University. It's great to hear about Chinese students organizing for a sustainable future all across China. I hope we can build bridges across language barriers between youth climate movements in the West and in China. We stand in solidarity! Universities across China are buzzing with green activity, says Peng Li. From book swaps and fashion shows, to climate conferences and the Live Earth concerts, student green groups are leading the way. Beijing’s prestigious Tsinghua University is well-known for its trees and lawns, but visit today and you might find yourself appreciating another kind of “green”. Bins to deposit batteries for recycling are dotted around, while paper recycling facilities are seen all about campus. There are regular second-hand markets where books, including unwanted textbooks, find new homes. Invitations to save water and electricity are posted next to taps and light switches. Environmental activities have become ever more frequent at Tsinghua over the last few years, and they now account for a significant proportion of the campus cultural life. “Green Tsinghua day” is in its tenth year, and includes exhibitions, lectures and events encouraging reduction in plastic bag usage and paper recycling. It has had a lasting effect on thousands of students; efforts by student green groups have succeeded in persuading many students to make changes to their day-to-day lifestyles. At Peking University, another of China’s leading universities, the environment is also a key concern. The Peking University Environment and Development Association is China’s longest-established campus green group. It has been involved in awareness-raising, educational and practical activities for 16 years. In October 2006 they formed the first youth group in China to focus on climate change: the Clean Development Mechanism Club, and produced the “Handbook for Youth Action on Climate Change”. On Earth Day this year, the group surveyed climate-change awareness across 19 Chinese universities, at the same time as it organised activities to educate students about the causes and consequences of climate change, its urgency and the students’ own responsibility. With support from the China Environmental Protection Foundation, the group is currently carrying out a campus energy audit to understand the contribution universities make to greenhouse-gas emissions. Beijing Normal University has also featured a range of green activities run by student environmental groups, including fashion shows with environmental themes such as “the atmosphere”, “forests” and “water”. Meanwhile, Jiaotong University Student Association in Shanghai left campus to visit the city’s most polluted district: Shenzhuang, and take the message of environmental protection into communities and schools. Beijing Jiaotong University has been promoting energy conservation and saving water since 1987, and has adopted a range of technologies to achieve this end. In all, the university says, it has saved 5 million cubic metres of water and 1.3 million kilowatt hours of electricity. This tradition is an important part of what students are taught and are encouraged to sustain, and it has become an important part of the university’s culture. Some universities are even making these ideals a compulsory part of student life. Zhejiang Forestry Institute has far stronger rules on the use of water, power, air-conditioning and public spaces than many other institutions. Now, whether you are at Fudan University, Nanjing University or Xi’an Jiaotong University, almost all of China’s universities have students working to promote environmental awareness, persuading hundreds of thousands of fellow students to make changes to their lifestyles. • In March, Campus green groups in Chongqing joined forces to publish guidelines for student groups working on climate-change issues, with the aim of launching large-scale activities to promote water conservation, energy efficiency and emissions reduction. • A number of Chinese universities, including Wuhan University and Renmin University, held a conference in Wuhan in June to promote on-campus green activities. • In July, the Shanghai Live Earth concert became a platform on which the China University Students Environmental Organisation Forum brought together student green groups to make a statement on the need to combat climate change. • Students from nine universities in Beijing used their summer vacation to teach cadres, farmers and teachers in rural areas about environmental technology. • Eleven universities and research institutes, including Beijing Forestry University, North-Eastern Forestry University and Nanjing Forestry University, in October held a competition to increase understanding of forestry’s relation to climate-change issues. From energy efficiency to mitigating climate change, China’s students are looking for solutions. A lack of resources and experience, fundraising, management and publicity do present problems, and it is often difficult for groups to feel they have a lasting and wide-ranging impact. If they continue to care and to act, however, progress will continue. Chinese people sometimes refer to university students as “flowers of the motherland.” When our students graduate and leave university, their green lifestyles and concern for the environment will influence society as a whole. Let us hope that the Chinese people, already enjoying the fruits of economic growth, will then come to live more environmentally friendly lives and show concern for the worsening ecology of China and the world – and work to find solutions. Billy Parish Tells Congress "This Young Generation is Ready to Carry Out a Historic Power Shift"
The following is the testimony delivered by Energy Action Coalition co-founder and coordinator, Billy Parish before the House Select Committee on Global Warming and Energy Independence during Power Shift 2007 Lobby Day, November 5th, 2007. It's taken me too long to get this posted, but it's well worth watching/reading. (The sound is not in synch with the video unfortunately, but here it is nonetheless. The full text is below the fold). Thank you, Chairman Markey, for inviting us here today. I want to also thank you and Speaker Pelosi for addressing Power Shift on Saturday night, and for your leadership over the past 30 years on these critical issues. I want to finally recognize the thousands of young people today standing shoulder to shoulder for the largest climate lobby day in U.S. history. Remember, remember, the 5th of November. An unstoppable movement has taken root in every school and every community in this nation. A generation has come to Washington today to lead, to be heard, and to find allies in this Congress who are ready to do what is necessary to solve our climate crisis. My name is Billy Parish, and I'm the coordinator of the Energy Action Coalition, a diverse alliance of 46 organizations working to support and strengthen the student and youth clean energy movement in the U.S. and Canada to create change for a clean, efficient, just and renewable energy future. I have brought with me our coalition's "Youth Statement of Principles on Climate and Energy" and other supporting documents for the Congressional record. 1. Create 5 million new jobs through a Clean Energy Corps to weatherize, solarize, rewire and rebuild this country. Let’s put people to work, and create green pathways out of poverty. Green Jobs Now! Green Jobs Now! Green Jobs Now! 2. Cut Carbon at least 80% by 2050, 30% by 2020 and auction 100% of the pollution allowances from day 1. Science tells us we can aim for nothing less. 80 by 50! 80 by 50! 80 by 50! 3. Pass an immediate moratorium on the construction of new coal plants. We should shift all federal subsidies from fossil fuels and nuclear to wind and solar, and create a just transition for workers from the old economy into the new green economy. No Coal! No Coal! No Coal! We will be heard because at 50 million strong, the Millennial generation outnumbers even the Baby Boomers by 3 million and represents the single-largest demographic age group in this country. Polling data, recent voter turnout, and the swelling ranks and increasing coordination of the youth climate movement all demonstrate that this young generation is engaged and ready to carry out a historic Power Shift. Youth turnout in the past two elections hit the highest level in at least 20 years, and is only on the rise. We are not alone: youth are assembling coalitions that are bringing together a diverse and powerful set of allies including unions, businesses, people of faith, farmers, civil rights groups and millions more. And we are not just here in D.C., we are in every Congressional district in America - and we are organizing. Politicians would be wise to take note. Exactly one year from today, we will have a new Congress and a new President. You have one year to prove that you are worthy of being our “representatives” in this government – and if you don’t, you will need to look for a new job, as millions of young voters throw their support behind more progressive, pro-environment candidates committed to ending the climate crisis and protecting the future of our generation. We will be heard because we are the ones we've been waiting for. As the Bush Administration and our federal government has done almost nothing for the last seven years, young people have organized and made change. Through the Campus Climate Challenge, tens of thousands of young people have engaged in the hard work of making their schools models of sustainability for the rest of society. In just the last year, 426 colleges have committed to becoming climate neutral, and more sign on every day. We are building partnerships with community groups to block the construction of new coal-fired power plants and launch a green wave of urban and rural renewal. As our government abandoned the people of New Orleans after Hurricane Katrina, tens of thousands of young people dropped everything to serve and rebuild. Over 6,000 of us came to Power Shift this weekend, thousands more took part in Step it Up around the country - a generation of solutions, but we know we cannot do it alone and have come to seek your help. And we will be heard because we are, quite literally, fighting for our lives. This can no longer be a political issue – for the survival of our people and our planet, we must put aside partisan politics and come together as humans, as mothers and fathers, sisters and brothers, to heal ourselves and our planet. As Evon Peter told us on Saturday night, this is not only an ecological and economic crisis, it is a spiritual and cultural crisis that is centuries old. We must begin the long process of reconciliation with the original peoples of this land, with the people that were brought here against their will, especially those from Africa, and all the people that are poorly served by our society. We cannot sacrifice communities for our overconsumption today, not only because it is wrong for those communities today but because we will be sacrificing the basis of life for our children and future generations. I'm 26 years old and about to become a father. I implore the members of this 110th Congress to hear our demands – but I ask that you hear them not only as politicians, but also as mothers and fathers, sisters and brothers. We can do this if we work together, but we must begin today. 1. Green Jobs Now! Green Jobs Now! Green Jobs Now! 2. 80 by 50! 80 by 50! 80 by 50! 3. No Coal! No Coal! No Coal! Other inspiring testimony from the Select Committee Hearing on Nov. 5th can be found online at The Gavel here. Today the Governors of Wisconsin, Minnesota, Illinois, Indiana, Iowa, Michigan, Kansas, Ohio, South Dakota and the Premier of Manitoba signed the Midwestern Regional Greenhouse Gas Reduction Accord at the Midwestern Governors Association (MGA) Energy Security and Climate Change Summit (See here, here and here). Indiana, Ohio and South Dakota are observing participants in the Accord, which means that the reduction system will include the three states but they will not be bound by the reduction targets. In addition to the Accord, the Governors of Nebraska and North Dakota joined the rest of the MGA in establishing the Energy Security and Climate Stewardship Platform which sets regional goals for advancing energy efficiency, promoting biobased products, producing renewable electricity, and developing advance coal and carbon capture and storage technology. This is the third major regional climate agreement in the country, following the Regional Greenhouse Gas Initiative (RGGI) in the Northeast and the Western Climate Initiative. Between these three regional agreements, twenty US states, and two Canadian Provinces have adopted plans for reducing their greenhouse gas emissions, with another seven states and two provinces as observers to the agreements. This means that well over HALF of the states in the United States are part of regional greenhouse gas reduction agreements. Almost half of the states in the United States have passed Renewable Electricity Standards (RES) or goals for state renewable energy use. Over 500 mayors have signed the Mayors Climate Protection Agreement. With so much leadership in fighting global warming across the country, you would think that Congress would get it's act together and do something on the national level. Perhaps with this bipartisan move in the Midwest, the Senators and Representatives from these states will listen to their constituents and support a strong Energy Bill that includes both a national Renewable Energy Standard and increased fuel economy (CAFE standards). Maybe they just need to hear this message again and again. Well, as Rep. Ed Markey said at Power Shift 2007, youth need to be the voice of impatience in this country. Let's make them listen! "With the Millennials set to be the largest demographic bloc in America history, it might be time for Washington to listen" to them when it comes to Climate Change, says Time Magazine in an article published online last week. In the wake of Power Shift 2007 and Step It Up 2, Time Magazine ran a story featuring interviews with Energy Action's Jessy Tolkan, 20-year old University of Tennessee-Knoxville junior, Katelyn McCormick, and yours-truly, Jesse Jenkins of the Cascade Climate Network. The story is accompanied by a long podcast interview with author, activist and Step It Up co-founder Bill McKibben. Over the past few years there has been a grassroots groundswell on global warming, but the focus has been on personal action, small behavioral changes individuals can make — or more often, buy — to reduce their impact on the Earth. It's the light bulb theory — switch your wasteful incandescent lights for more energy-efficient compact fluorescent bulbs, and you're doing your bit to save the planet. But while individual action is important — and the increasing ubiquity of green consumerism is a sign that the business world is getting the environmental message — the sheer scale of the climate challenge is so overwhelming that only a worldwide revolution in the way we use energy will be enough to stave off the worst consequences. That requires far-sighted political action from the top, starting in the capital of the world's biggest carbon emitter: Washington. Unfortunately, while scattered cities and states across America have begun to move on climate change — Gov. Schwarzenegger, take a bow — the federal government has been more roadblock than revolutionary. That will change only if politicians hear loud and clear that global warming matters to Americans, not just in the brand of light bulbs they buy, but where they cast their vote. The focus on individual solutions "rings hollow to a lot of people," says Jesse Jenkins, a member of the Cascade Climate Network and an environmental blogger. "The solution is to organize and organize and organize." And the agents of that change will be young people like Jenkins and Tolkan, the college-age members of the Millennial generation, born after 1980. These post Cold War kids have grown up with the threat of global warming — just as their parents grew up with the fear of nuclear war — and they know that they'll be left to cope with a warmer world tomorrow if nothing is done to slow carbon emissions today. For the Millennials, climate change is emerging as the defining issue of their time, just as civil rights or Vietnam might have been for the generation before. "This is a new generation that sees itself at the forefront of a great movement, just like the greatest movements of the past," says Tolkan. With health care, Iraq and the economy all jostling for voters' attention, it remains to be seen whether climate change — still an amorphous threat to most Americans — can seize center stage, but Washington should know that there is a growing core of young activists out there who care about nothing more. "This past weekend, we gave politicians a bit of a heads up that we're watching and we're demanding change," says Katelyn McCormick, a 20-year-old junior at the University of Tennessee-Knoxville. "We've said what we want and now it's time for them to do something about it." With the Millennials set to be the largest demographic bloc in America history, it might be time for Washington to listen. Al Gore, the former vice president of the United States and co-winner of the Nobel Peace Prize, is becoming a partner at Silicon Valley's most storied venture capital firm. Kleiner Perkins Caufield & Byers said on Monday that Gore, a campaigner for action to slow global climate change, will join the Menlo Park, California-based venture capital firm as a partner focused on alternative energy investments. The venture firm, which since 1972 has backed seminal computer start-ups ranging from Sun Microsystems to Compaq Computer to Amazon.com to Google Inc, has emerged in recent years as a leading funder of alternative energy companies. Gore, 59, is joining the Kleiner board as part of a collaboration between his Generation Investment Management fund and Kleiner Perkins to fund so-called "green" business, technology and policies that address global climate change. Other active or affiliated partners at Kleiner Perkins include legendary computer company backer John Doerr, alternative energy financier Vinod Khosla and former U.S. Secretary of State Colin Powell. Kleiner Perkins plans to co-locate their European operations at Generation's offices in London. In addition, Doerr, Silicon Valley's best-known venture capitalist and long a major backer of Gore's political and policy efforts, will join Generation's advisory board, the two organizations said. Kleiner has historically focused on making investments in and around Silicon Valley. However, it recently expanded operations in China. And as it moves into energy investments, it has taken on a more global profile in its operations. Here's a look at ten of Kleiner's 26 "green" investments. This isn't the "change" we voted for in November 2006, and we'll be voting for new leaders in 2008 if our current set can't get the job done. Keep the Heat On and Focus the Nation! The powers that be in Washington DC heard loud and clear at Power Shift 2007 this weekend that the Youth Climate Movement will not be sated with lip service and policy band-aids that don't address the true scope of the climate crisis. This movement is made up of hundreds of thousands of dedicated individuals, but dedication alone isn't what's forcing our leaders to listen and act. We must engage millions of constituents across the country, and turn the heat up on every politician who isn't already a leader on climate change. The raw enthusiasm unleashed in the capitol this weekend is just a sliver what's happening nation-wide; what we're witnessing is a movement that will change the world. Wondering what's next? Well in less than 90 days, millions of students, educators, citizens and people of faith will combine the knowledge of academia with the drive our generation has sparked to create the largest teach-in in U.S. history: Focus the Nation, a nationwide day of education and civic engagement on climate solutions on January 31st, 2008. Not only will we help more people get educated on the issue, we will take that knowledge into a solution-oriented discussion with politicians where we get to grill them on how well educated they are on this crisis. And then, we'll vote on top solutions and send the word back to Washington DC and our state capitols. Will your campus and community make history? Is your community a part of the solution yet? How can you make it happen there? Check out our new Organizer's HQ with all the tools you need to harness this weekend's excitement back at home and lead your community to the brighter, cleaner, more just future we deserve and demand. Consider this a call to all are inspired by this growing momentum to Focus the Nation so we can hit DC with another wave of the ongoing power shift on February 1st. Let's keep the heat on: Focus the Nation! (LLF), which develops and markets the first and only viable light fixtures for general illumination from LED light sources, today announced that it has raised $16.5 million in an equity financing round which was lead by Digital Power Capital LLC, a Wexford Capital fund. LLF plans to use the proceeds to significantly expand its product line and accelerate research and development efforts. Mark Mills, Founding Partner of Digital Power Capital, said, "We are deeply impressed with the comprehensive intellectual property, in addition to the technology savvy and remarkably capable team at LLF. Our fund is interested in companies that are leaders of change for power conversion in the 21st century, especially where emerging technologies provide both efficiency and inherently superior qualities. LLF is clearly at the epicenter of this transformation and will likely change the lighting industry." According to Mike Rogers, LLF's President, "We are thrilled by the market acceptance of our product and the strong demand that we are seeing. With the close of our financing round, we expect to launch new products early next year that will include a four-inch downlight as well as a recessed architectural lay-in fixture that will be suitable for commercial and office environments." Series B Financing Will Enable Optimal to Complete Solutions that Drive Efficiencies Throughout Power Systems. Optimal Technologies International Inc. today announced that it has secured $25 million in financing from Goldman Sachs International to accelerate its growth and expand its market presence. The investment will allow Optimal to continue building out its product offering for energy utilities, businesses and consumers. Specifically, Optimal will complete the development of its technology that optimizes electric power systems from origin to end-user. The investment includes an immediate payment of $13 million to be followed by milestone payments over the next 12 months. Optimal’s product suite includes supply side electric power grid optimization and analysis software, called AEMPFAST™ (pron: aim-fast), and a demand side energy efficiency and automation system called SUREFAST™, to be launched in 2008. GI Joe has got it wrong, according to Majora Carter, the dynamic Executive Director of Sustainable South Bronx. Carter, who works to connect poverty alleviation and the environment in ways that benefit both concerns, argues that "showing up is more than half the battle." Well plenty of young people - roughly 5,500 in fact - will be showing up at this weekend's Power Shift 2007 conference, the first national youth summit to address the climate crisis, November 2nd-5th. The summit, the largest-ever of it's kind, will bring students and youth from every state in the nation together for a weekend of training, action, and movement-building in College Park, Maryland, outside of Washington D.C. The Energy Action Coalition and Power Shift outreach and organizing team recently talked to Majora about the upcoming national youth climate summit and the broader youth climate movement. Power Shift: What made you excited to participate in Power Shift as a speaker? 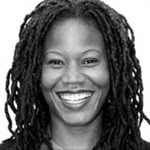 Majora Carter: I never had a chance like this when I was young—or even lately for that matter. This is a unique experience that I want to contribute to. We need reinforcements out here, and I don't want to have [young people] start from nothing. If I can pass on anything I have learned, then it is my duty and distinct pleasure to do so.